This is the COMPLETE official full factory repair service manual from ISUZU® for the TROOPER®. Production model years 1998 1999 2000 2001 2002 2003 2004 2005. All styles covered. Hundreds of pages allow you to print it out in its entirety or just the pages you need!! 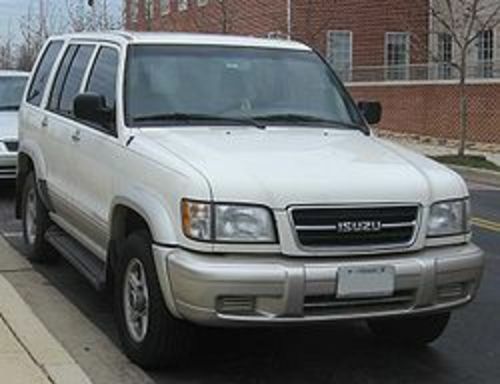 The Isuzu Trooper was a mid-size SUV produced by the Japanese automaker Isuzu between 1981 and 2005. It was exported worldwide as the Isuzu Bighorn, Isuzu Trooper, Isuzu Trooper II , Isuzu Caribe 442, Acura SLX, Chevrolet Trooper, Subaru Bighorn, Honda Horizon, Opel/Vauxhall Monterey, Holden Jackaroo, and Holden Monterey. Beginning in 1998, Troopers in the US were equipped with a DOHC 3.5 L engine producing 215 hp (160 kW; 218 PS).